Okay, Packers fans. Time to chill out on Brett Hundley. He is who he thought he was–at least prior to the draft. After a particularly miserable performance on Sunday, in which Hundley threw three interceptions, lost a fumble, repeatedly hung onto the ball too long and had difficulty going through his progressions, Packer Nation has suddenly turned on our backup quarterback. And listening to the post-game on the radio this afternoon, I was shocked to hear the host advocating for Hundley to be benched in favor of Joe Callahan–for all the silly reasons angry Packer fans like to give when they are emotional and looking for blood. Oh, how quickly the tide turns amongst the Packer fandom. Seriously, y’all. You really need to take a step back. Think how it’s gone for this poor kid this past month. After coming in to relieve an injured Aaron Rodgers against the Vikings, ending in a loss, Packer fans were ecstatic for the “Hundley Era” to begin. Packer fans bought Hundley jerseys. After all, he spent three years backing up the best quarterback in the league. Clearly, Aaron Rodgers’ aura must have rubbed off on him, through some sort of locker room osmosis. And, I said, temper your expectations. He’s a backup, not a starter. And I said, temper your expectations. He just needs to manage the game and let the players around him help him out. But the bye came and went, and after another loss to the Lions, fans started pointing fingers. Thompson did a terrible job drafting around the quarterback position. McCarthy wasn’t allowing Hundley to throw downfield. Why not let him throw it downfield? What can it hurt? What do we have to lose??? And I said, he has a Matt Flynn arm. He doesn’t throw downfield because he throws interceptions. He has a rag arm after 15 yards. But then, came the Bears game. After three quarters of mediocre play against a bottom feeder team, Hundley came alive to finish the game with a few amazing downfield passes, a seven-point win over a greatest rival. And suddenly, all was optimistic in Packerland. Hundley’s got it figured out, said the fans. McCarthy can open it up for Hundley next week! 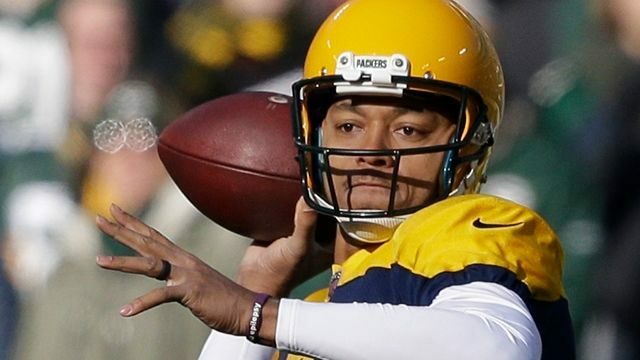 We’re a lock for the playoffs now, with Hundley holding down the fort until Rodgers returns! And I said, we’re really better off with Hundley running a West Coast, nickel and dime, misdirection and screen pass game, while making use of his mobility. He’s not Aaron Rodgers and we can’t expect him to be Aaron Rodgers. It’s all Brett Hundley’s fault. And he should either be benched or cut. How DARE he get our hopes up, and then play so terribly??? Get out of here, TJ Rubely Impersonator! 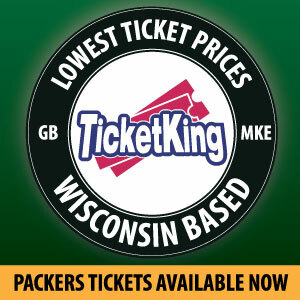 Okay, vitriolic Packer fans. Why are you so surprised? Oh, that’s right…because you chose to assign traits to Brett Hundley HE NEVER ACTUALLY HAD. Since 1992, the Green Bay Packers have been blessed with Hall of Fame play at quarterback. If you are 30 years old or younger, and have been a Packer fan, you have never known what it is like to have an average quarterback trying to run your offense. Guys, seriously: half the NFL has a guy like Brett Hundley starting for them right now. And they do every single season. We forget that once you get past Rodgers/Brady/Brees/Roethlisbberger/Wilson, there’s a about another five guys that are above-average-yet-flawed leading the team, with fans hoping they can get the team over the hump. You know, guys like Harrington, Cousins, Ryan, Rivers, Newton, and Wentz. Guys we’d never put on a level with Rodgers. But after that? It’s a bunch of maybes and wannabes. It’s a bunch of guys that, in many cases, are starting by default, because there’s no other options. And we’re just going to wait until next year. This is what it is like for Buffalo and Cleveland EVERY SINGLE YEAR. Brett Hundley is a backup quarterback for a reason. He’s not a superstar, and we have someone better. And quite frankly, he might be worth something in trade once Rodgers is healthy. You know, if he kind of gets his act together. But even then, he’s not going to be a superstar. He doesn’t have the talent to be the next Tom Brady. And we can say the same for many Packer backups who have gone on to just be another guy on the team that hopes they are the “something better”. Aaron Brooks. Ty Detmer. Doug Pederson, Matt Flynn. If you chose to assign Brett Hundley the “budding superstar” status, your incredulous disappointment is all your own fault. And I get it. We’re Packer fans, and we always overvalue our own players, simply because they wear green and gold. Heck, think how much we overvalued Martellus Bennett when he was playing for the Packers. Now think how suddenly useless we retroactively thought he was all season when he jettisoned himself back to New England. Heck, just go back and read what was written about Hundley BEFORE he was a Packer. Charting Hundley’s throws across games shows that although his overall completion percentage has been terrific this season, his accuracy on longer throws has not been nearly as good. He’s effectively taken advantage of open targets, but he does not complete a great deal of passes against tight coverage and makes a vast majority of completions inside 15 yards. While Hundley’s arm strength is not going to be doubted, he lacks the touch to consistently connect on deep passes. Hundley has had issues with both overshooting receivers and putting too much on his long balls, as the clip below from this year’s game against Virginia is an example of. In other instances, Hundley has had problems with hanging up deep passes that have forced his receivers to wait for the ball and/or allowed defensive backs to break passes up, like in the GIF below from Saturday’s game against USC. Against NFL defenses, Hundley is going to have to be more precise with his timing and ball placement to fit passes into tighter windows against better defensive backs. Cheese Louise, Packer fans. We KNEW this about Hundley coming in. Why are we shocked when it actually plays out in front of our eyes? Brett Hundley is playing up to his skill level. Period. To make the “three years playing behind a Hall of Fame quarterback” is a ridiculous leap of logic. Aaron Rodgers was not only a first-round pick with a tremendous pedigree, he was almost the TOP PICK OVERALL. Yes, three years backing up a Hall of Famer will help you reach your potential a lot quicker. But Rodgers’ ceiling was almost limitless. Hundley may have already hit his. And guess what? That’s okay. The idea that Joe Callahan should be put in because “Who cares” and “Maybe he won’t be a lot better, but what can it hurt” is a really, really bad idea. Like, really bad. And I am pretty sure Mike McCarthy agrees with me, since his quote after the game was, “Brett Hundley is our starter. I believe in Brett Hundley. It didn’t go very well obviously. We understand the standard that has been set here. We are all part of it. Brett Hundley is part of that too. McCarthy is smart, given the circumstances he has painted himself in a corner with. When Rodgers first went down, there was a mild outcry for the Packers to sign a veteran quarterback, and of course, the name brought up most often was controversial free agent Colin Kaepernick. Some fans loudly wanted him on the team because they thought he deserved a job for his social awareness efforts. Some wanted him because he was literally the best the street free agent market had to offer. But many fans didn’t want him on the team, period. They vowed to burn their season tickets and their jerseys and to never watch another game if they signed him. I never made any personal tug to sign Kaepernick or not to sign him. But the point because moot when McCarthy angrily fired a response to the media that under no circumstances, would Kaepernick (or any other free agent quarterback) be a Packer. He only had to look back to 2013 to see how desperate the team would get when Aaron Rodgers would be injured for an extended period of time, and it was pretty clear this team would be in a similar situation. Even if you place a ton of trust in Hundley’s development, it was ridiculous to commit yourself to not bringing in a free agent. Which means, he essentially committed himself to Joe Callahan, as well as Hundley. In my opinion, McCarthy caved to public opinion. And he’s paying the price. To a degree, I think today’s game might have been a little caving in to public opinion as well. The cries for the playbook to be opened up for Hundley, to allow him to throw the ball vertically downfield, have been fervent and consistent. After seeing it in action today, suddenly, a lot of fans are thinking that’s a really bad idea. You know why? Because it WAS a bad idea from the start. READ HIS DRAFT PROFILES. Brett Hundley is a guy who struggles with going through progressions, has difficultly sensing pressure, and has a rag arm anytime he passes beyond 10-15 yards. In other words, he’s just a guy. Joe Callahan is also just a guy, but with even less experience and possessing less talent. He’s an undrafted, Division III guy that was locked out of pro days. He’s Juster a Guy than Hundley. McCarthy has invested in Hundley, and is now stuck with these two guys playing quarterback until Rodgers returns. To sign a free agent now (unless one or both are lost to injury) means he has to eat crow in front of the media. To bench Hundley, who clearly has more talent than Callahan (and guess what, gang? He DID make some great passes and plays against the Bears), sends the message that McCarthy has lost faith, and now further paints himself in a corner with a lesser guy under center. No, you can’t “make a point” or “send a message to the rest of the team”. To be honest, the defense came to play today, which is EXACTLY WHAT SHOULD HAPPEN when you have a young quarterback calling the plays. You start pulling reindeer games now, and you take a big chance on losing the team on both sides of the ball. Once the coaches have given up on the season, so will the players. Want to see an example of that? Go look at how the 2005 season ended. Tons of players with “season-ending injuries”. Street free agents starting games. Half-hearted play. The defense played with heart today. The offense struggled, and in my opinion, it is because the Packers tried to make Brett Hundley play like Aaron Rodgers. He is not Aaron Rodgers. Brett Hundley is exactly who we knew he was. He is a young, raw quarterback who lacks a lot of instincts that an NFL starter should have, and doesn’t possess the accuracy beyond 10-15 yards to be a true pocket threat. But he is great at rolling out in the pocket and hitting those short passes. He’s mobile and can gain yards and extend drives with his feet. He is just a guy. And he’s a guy who can hold a spot in the lineup until someone better comes along. You don’t throw him out with the bathwater because of one miserable game. Dear lord, Brett Favre threw SIX INTERCEPTIONS against the Rams in a playoff game. The Pittsburgh Steelers might present the most formidable challenge the Packers will face down the stretch. The Vikings and the Lions, who finish the season for the Packers, could very well be facing #12 under center when they meet again. And you want to throw Joe Callahan in there? Brett Hundley is who we KNOW he is. Let’s stop idealizing him and trying to make him Aaron Rodgers. Play the kid to his strengths, and give the rest of the team a fighting chance to make a difference. This entry was posted in Authors, CD Angeli and tagged 2017-18 season, Aaron Rodgers, Baltimore Ravens, Brett Hundley, Football, Green Bay Packers, NFL. Bookmark the permalink. I am disappointed, no way I’m not. I believed what MM said about Brett Hundley, but now I think Packers made mistake by not bringing Colin Keapernick. He is similar type of QB, but he process better. And he was/is Packers fan! You honestly expect me to call the Lions quarterback by his actual name? What are you, a lions fan? An excellent article. Full of interesting truths. Pretty sobering really. I for one thought the season was over when Rodgers went down. I remember Hundley’s awful play last season when he was put in during junk time; to me he was just one of those preseason “superstars” playing against the other team’s “evaluation” squad. I was fully prepared for what we have seen so far from him. I think McCarthy is being hardheaded not giving Callahan a chance to see what he can do. How possibly can it hurt? At worst you find out what you have in him, and possibly he can be at least as competent as Flynn. Hundley has had his opportunity to show his worth. He can’t do it after three years if learning and doesn’t have the skills to be a starter on any team. Callahan? No. Hope Rodgers hasn’t returned before fully healed. Could be devastating if he hurts his collar bone again!! The blitz will be a given today to test him; be careful.